Whatever the weather or the terrain, the Volvo XC60 is a car you'll be able to rely on. Innovative technology features ensure this car is able to push through when faced with the most demanding conditions. 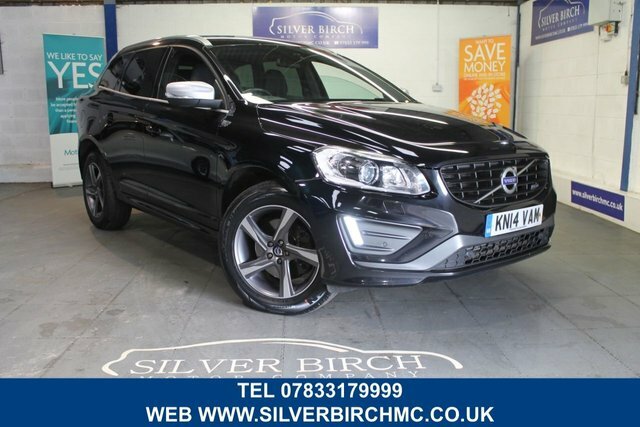 Come and take a closer look at the complete range of used Volvo XC60 models for sale in Sutton Coldfield right now at Darrin Perris Ltd (Silver Birch Motor Company) to discover whether this is the car to suit your lifestyle and budget. You can also view our vehicles here on the website, and call a member of the showroom team if you'd like more information on any of the cars listed. Finance is available to UK residents aged 18 years or older, subject to status. Terms & Conditions apply. Indemnities may be required. Other finance offers may be available but cannot be used in conjunction with this offer. We work with a number of carefully selected credit providers who may be able to offer you finance for your purchase, commission may be received. We are only able to offer finance products from these providers. Postal Address: Darrin Perris Ltd (Silver Birch Motor Company), Unit 1 Cheatles Bridge, Dog Lane, Bodymoor Heath, Sutton Coldfield, West Midlands B76 9JD. Find contact details here.